Spend another £20.66 to get FREE DELIVERY! 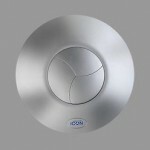 iCON30 is ideal for toilets, en-suites, shower rooms, utility rooms and bathrooms. 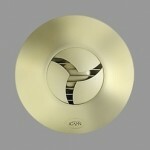 Recessed into the wall or ceiling, it is stylish and unobtrusive, even in the smallest space. Also supplied with a narrow contour 'skirt' for surface mounting if preferred. 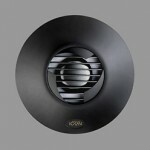 The quiet, powerful mixed centrifugal/axial fan has been designed with simplicity in mind. A quick, core drilled hole enables immediate fixing of iCON 30. The twist on/off cover requires only a single side entry fixing screw. Cantilever fixing lugs enable recessed installation on uneven surfaces. Please note: Model above is for basic on/off switching. Choose an optional control module to upgrade fan for Pullcord, Timer, Humidity or Motion Sensing operation. Don’t forget to add the control module you want. Any module fits any fan. Its so iCON easy!